It’s always a pleasure to take in the Shell SuperRigs truck show, wherever in the US it happens to be held. There’s nothing else quite like this roving truck beauty contest. 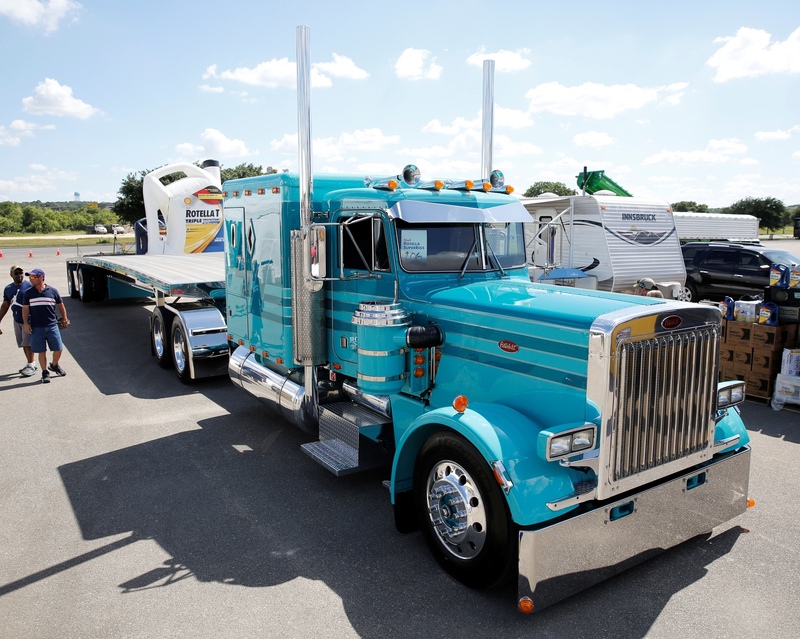 One of the things that makes it unique is that it’s a celebration of working trucks – Trailer Queens are allowed, but there’s a separate category for show trucks and they definitely won’t make the SuperRigs calendar. 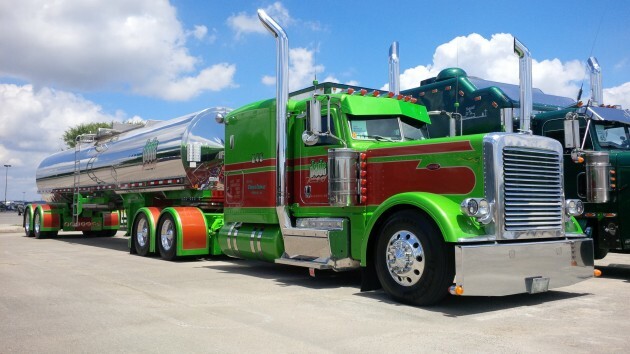 Kiegan Nelson won Best of Show for this 1985 Peterbilt 379. And if you think you can pull one over on the judges, think again. They take their roles seriously and go to great lengths to ensure any truck entered in SuperRigs is a true working truck. They’ve even gotten technical with this process, and now use a custom app to run DOT numbers and to compare the mileage to past years when the same truck may have been entered. Because this year’s SuperRigs was in Selma, Texas – a long jaunt from any part of Canada – there seemed to be fewer Canadian entries than in past years. I saw one on the day I visited and no surprise, it belonged to Jade Transport of Winnipeg, Man. They always seem to have one or more trucks entered. Another Canuck truck was en route from Quebec and slated to arrive sometime overnight the day after I left. There were no Canadian winners this year but as always, some spectacular trucks were honoured. You can see a few of them, as well as a complete list of winners, here. Jade Transport of Winnipeg-Man. had the lone Canadian entry on the day we visited SuperRigs. PC-11: WILL IT BE BACKWARDS COMPATIBLE AFTER ALL?